The colour changing toilet pan night light from Croydex means you no longer have to be blinded by the bathroom light in the middle of the night. 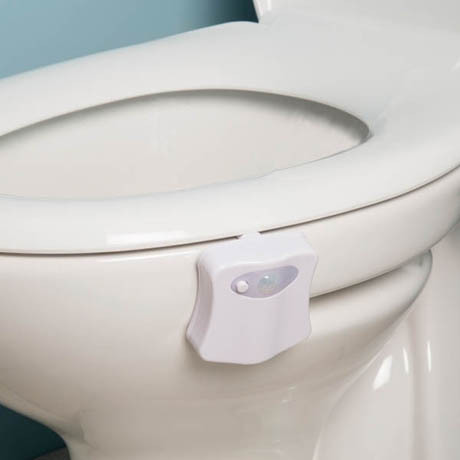 The motion sensor subtly lights your toilet pan to guide you in the dark in a choice of 8 different colours. Suitable with all toilets and requires 3 x AAA batteries (not included). "Does what it says, useful."